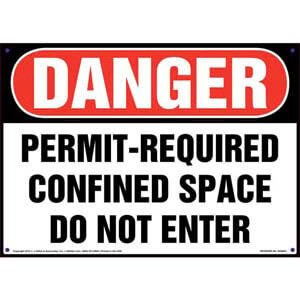 Danger sign identifies a permit-required confined space. Fast ship available on our most popular signs. See Overview below for details. 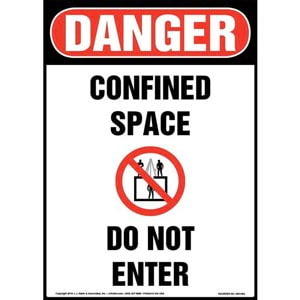 Danger sign reminds individuals to follow entry procedures for confined spaces before entering a designated area. 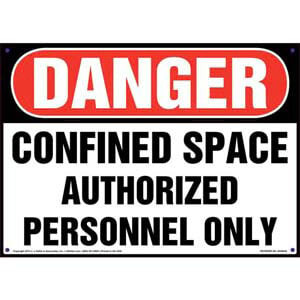 Confined space signs help prevent unauthorized personnel from entering a restricted area. 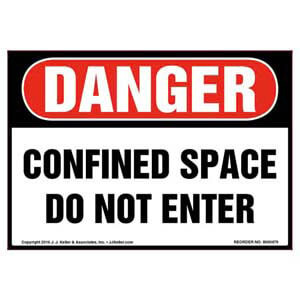 Danger sign clearly identifies a confined space. Fast ship available on our most popular signs. See Overview below for details. 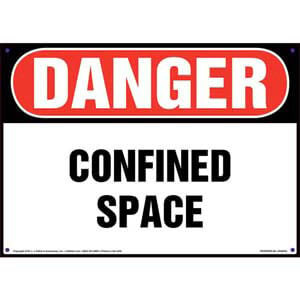 Danger sign warns individuals of the presence of confined spaces. 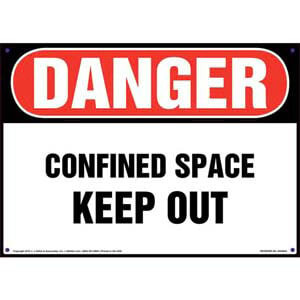 Confined space sign helps prevent individuals from entering a given area. 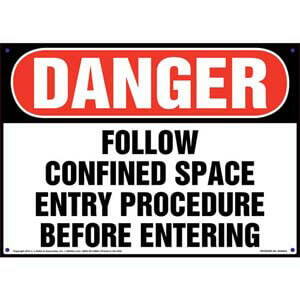 Free-standing signs allow you to identify confined space hazards quickly and easily. 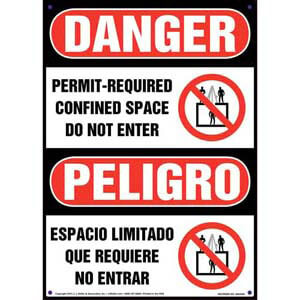 Bilingual sign (English & Spanish) helps revent unauthorized personnel from entering permit-required confined spaces. 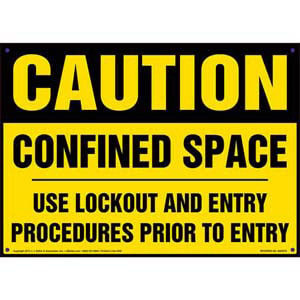 Confined space sign reminds individuals to use lockout and entry procedures prior to entering. 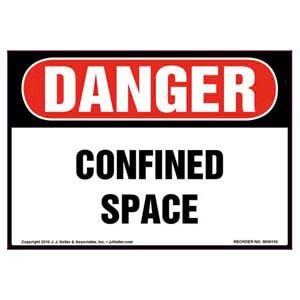 Danger label warns individuals of the presence of confined spaces. 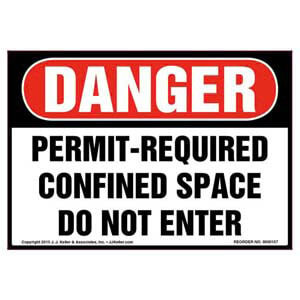 Danger signs help prevent unauthorized personnel from entering restricted access areas. 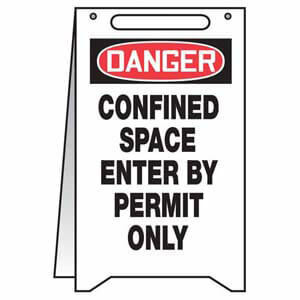 Danger labels clearly identify a permit-required confined space and warns individuals not to enter. 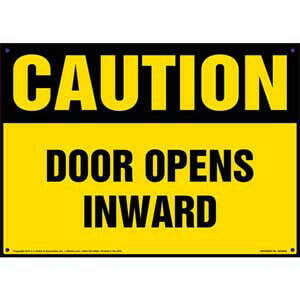 Caution sign offers essential warning about the way a door opens. 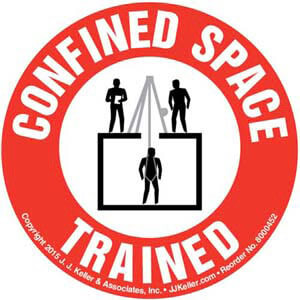 Helmet or hard hat labels help keep workers safe by identifying personnel trained on confined spaces safety. 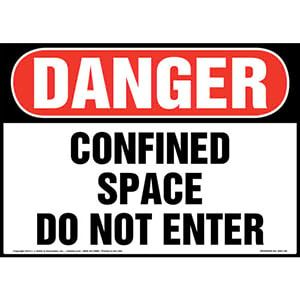 Danger label clearly identifies a confined space hazard. 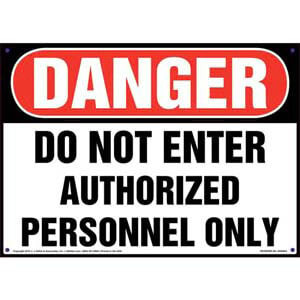 Danger signs prevent unauthorized personnel from entering restricted access areas.